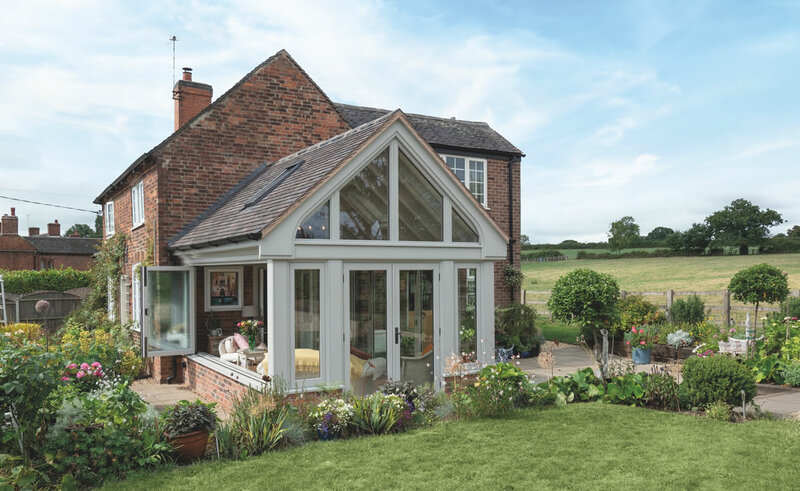 The perfect solution to Miss Foster’s existing conservatory was designed by one of our experienced designers. 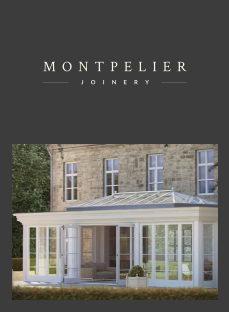 The Montpelier garden room design was chosen as the existing conservatory got too hot in the summer and was so cold in the winter it had to be shut off entirely from the main living room of the cottage. 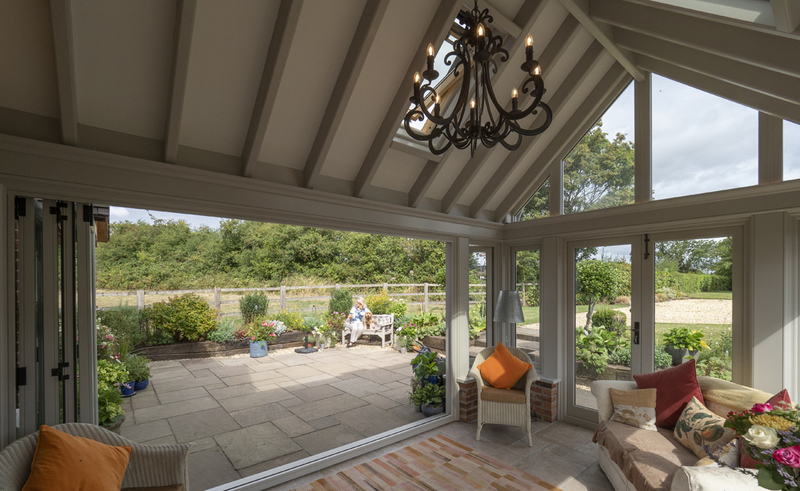 Our garden rooms feature fully tiled roofs to reduce heat transferring in and out of the building, protecting the indoors from the elements and maintaining an ambient temperature all year round. Keen to be able to touch and see a physical project Miss Foster booked a show site visit, meeting with one of our designers, Barry. Viewing the show site garden room, talking through her ideas with a designer and seeing the on-site manufacturing workshops really helped her to understand the business. ‘The show site set up in South Staffordshire really sold it for me, Barry just understood what I wanted to achieve and I trusted him’. 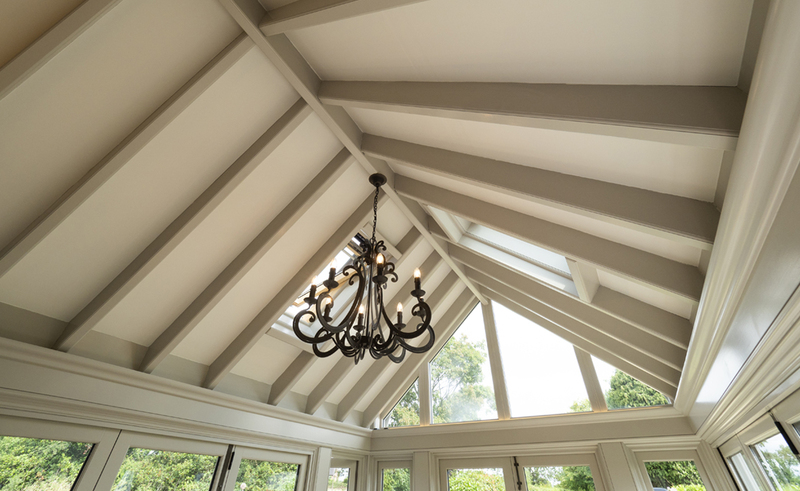 ‘The reassuring guarantees that came with the product, attention to detail and craftsmanship were all further reasons which helped aid the decision making process’ for Miss Foster. 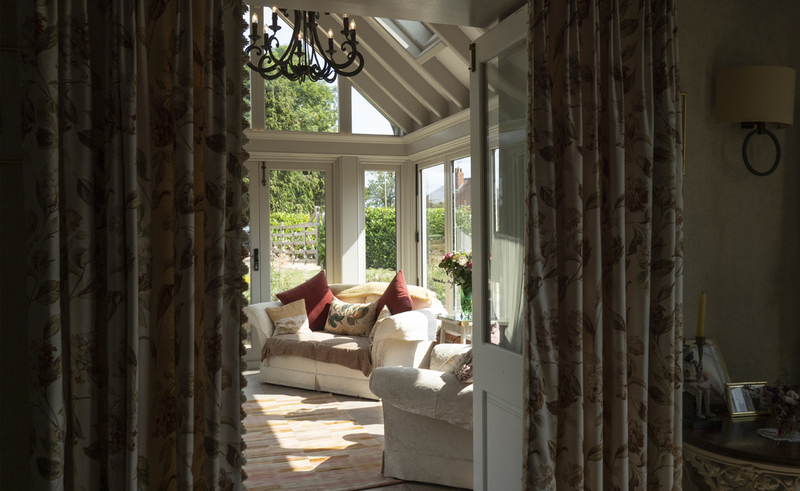 It was integral to Miss Foster that the garden room enhanced Rose Cottage and encapsulated the cottage feel. ‘Barry’s attention to detail was so exact he even mirrored the angle and pitch of the garden room roof so that it mirrored the oak porch I have over the front door! The roof tiles and lead flashing were all carefully selected to match the original cottage, so it looks as if it has always been there’. As with any project there is always the potential for snagging issues but it is how they are overcome that is key! Whilst there was a small issue midway through the project with the brickwork that was planned to be plastered now being exposed, the design team quickly came up with a design solution to put a pelmet over the steel structure. The exposed brick wall ensured the charm of the cottage was brought through into the garden room. Being a traditional cottage the original lounge is naturally quite dark so it was key that the garden room offered as much natural light as possible. 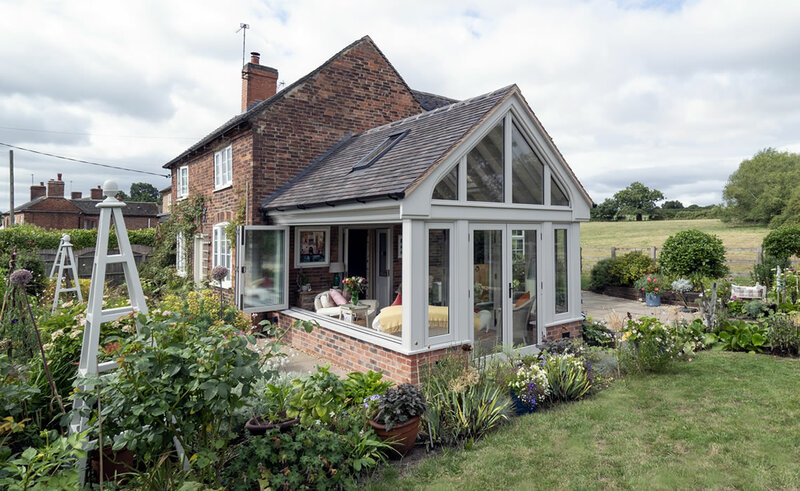 Opting for 4 pane bi-folding doors, 5 pane bi-folding windows, French doors, glazed gable and 2 Velux roof lights it certainly maximises the natural light to its full potential. The room can be opened right up for the ultimate indoor outdoor living experience, ‘I can see the sunrise and the sunset’. Overall Miss Foster is ‘over the moon and just delighted’ with the project, ‘I have to say that all of the teams who worked on the project were just so delightful, everyone was so helpful and all took real pride in the product’.